1 2 3 4 5 Click to share your rating 45 ratings (4.8/5.0 average) Thanks for your vote! 53.63% of people buy Downton Abbey - Season Six and Downton Abbey: Christmas 2015 - Final Episode ~ DVD. "Arrived on time. Thank you !" Easy to deal with. Prompt delivery. Am very happy for the chance to be able to now have the last season of such a Beautiful example of how to carry on making a show filled with gorgeous viewing of all that Downton entails.!! Great finish to a great series, you can't miss the ending! Complete sixth series of British period drama TV series Downton Abbey on DVD (3 discs). 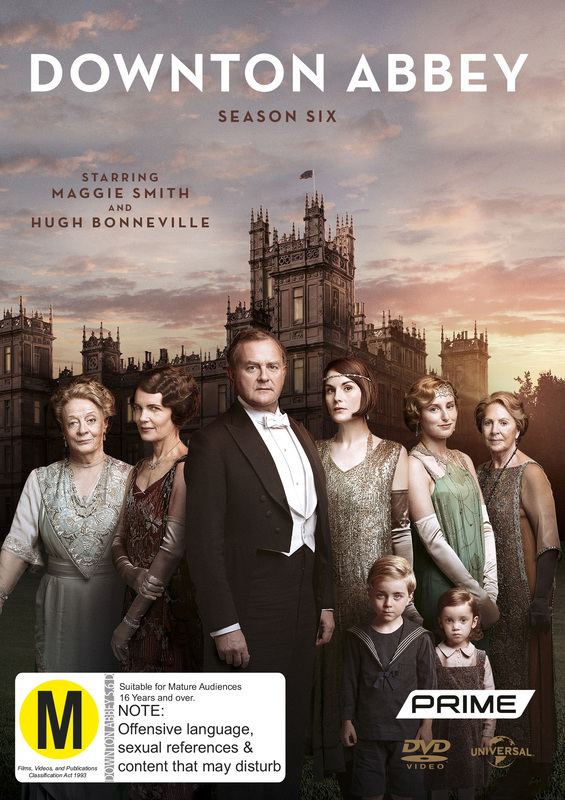 Rejoin the Crawley family for a sixth and final season of the award-winning Downton Abbey, featuring intimately interlaced stories centered on the English country estate. The series picks up at least three to four months after the end of Series 5, in 1925. The final episode ends on New Year's Eve, 1925. Julian Fellowes has described the theme of this final series as resolution". Note that this doesn't include the season finale episode.